Looking to give Valentines Day a makeover? Then let’s Celebrate Friendships! Need Ideas? 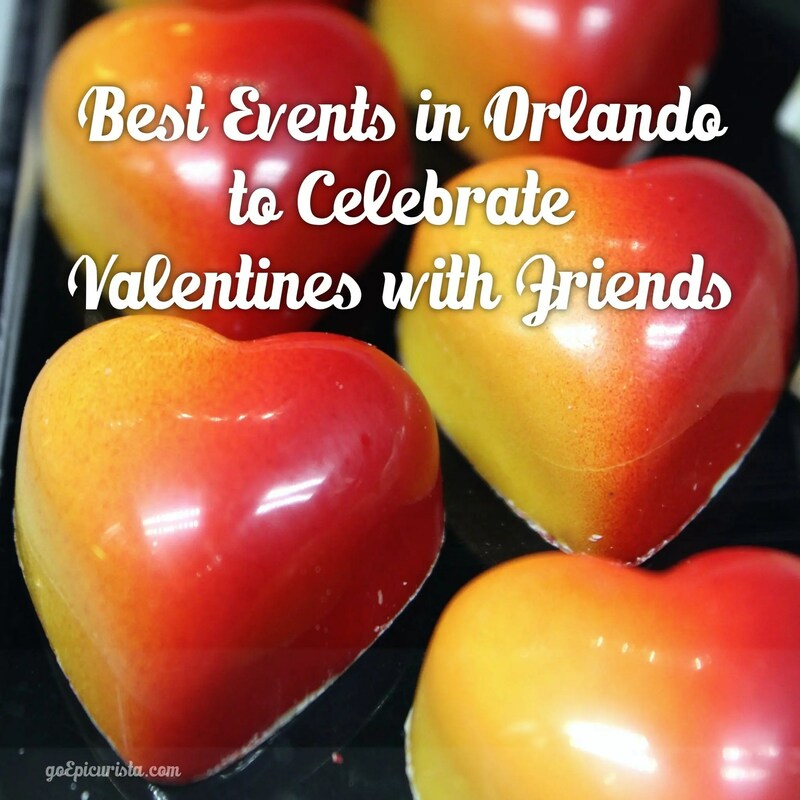 Here are my recommendations for the Best Events in Orlando to Celebrate Valentines with Friends. I hope you will be inspired by these ideas to get out there and reconnect with the people who know you better than anyone and have been with you though all of life’s ups and downs, your friends! Chocolate and Art lovers unite at Orlando’s original Art Party. Paul Joachim, chocolate genius and Food Network Challenge Winner, will be sculpting live at this month’s event, in conjunction with other local artists whose common artistic theme is Love. On the first Thursday of each s, the Orlando Museum of Art showcases works by local artists, live music, cash bars and café offerings from area restaurants. It will surely please all of your artsy friends. Admission is $6 for adults, $3 for children. Leu Garden members get in for free. Catch a romantic comedy on one of the largest outdoor screens in Central Florida. Come early and enjoy a stroll in the 50-acre garden and a picnic before the movie. The featured movie is “Stuck in Love”. If you miss this one, another movie night is being held on Friday 3/7/14 featuring “To Have and Have Not”. Blankets and chairs are recommended. You may bring a picnic basket and best of all alcohol is permitted so don’t forget your bottle of wine (and wine opener!). Hosted by La Femme du Fromage and Oskar Blues Brewery from Colorado, this is not your frat house style of beer and cheese pairing. No cheese whiz being served here! This is beer and cheese to a whole new, delicious level. Tonda Nazario Corrente, or as she is best known around town, La Femme du Fromage (The Lady of Cheese) is the cheese connoisseur you need to know. She owns local favorite cheese shop, La Femme du Fromage, at East End Market in Winter Park, which features an ever-changing selection of cheeses from all over the world. You will find cheeses here that you will not find anywhere else, guaranteed! If you have a question about cheese, look no further, ask Tonda. For this event, she is pairing five of her delicious cheeses with five craft beers from Oskar Blues Brewery from Colorado and breads from local bakery Olde Hearth Bread Company, all the while you will be learning all about which cheeses go best with which beer. In the past, she has hosted cheese paired with wine and whiskey classes to sell-out success. If you’re interested you better act quick and get your ticket now. As a parting gift you will also receive a souvenir mug so you can continue your beer and cheese studying at home. For a night that will make you feel like you just traveled to the Mediterranean, all you have to do is drive to the Portofino Hotel and enjoy Harbor Nights Romantico, an evening of food, wine and jazz. Sample 15 wines and gourmet food foods from the various restaurants of the hotel as you tap your toes to the live music from The Buzzcats. Stroll the award-winning shops of the Audubon Park Garden District, sample sweet and savory bites, beer and wine and participate in the interactive “Show Your Love” art installations along the way with intriguing opportunities for you to draw, write and photograph what you love and then share it. Hence the name “Show Your Love, Share Your Love”. Event check-in at Redlight Red Light and proceeds benefit the Audubon Park Garden District. Enjoy the fun sounds of local favorite swing band, Michael Andrew and Swingerhead, in the beautiful Central Park. Bring a picnic and a blanket and enjoy a fun afternoon outdoors. If you want to continue the celebration, there are wonderful restaurants and bars all along Park Avenue you can visit after the show. A free bike valet service is also being offered, so if you’re close enough to ride a bike do it and leave your car at home. This event combines shopping, good eats, music and fun. What can be better? Presented by the Dear Prudence Shop, Park Ave CD’s, and The Audubon Park Garden District, the Third Annual Vintage Valentine Event hosts several vendors of vintage clothing, vinyl records, popular gourmet Food Trucks Sushi & Seoul on a roll, SwedeDISH Food Truck (recently filmed for TV Show Eat St) plus Monsta Lobsta, and Fantastic Hummus, as well as Craft Beer by local pub Redlight Red Light. Support our local businesses and get there early for your pick at the best stuff. You may find that perfect gift for your sweetie, your best friend and yourself! If you didn’t get enough beer and cheese at the first tasting, local craft beer lovers favorite hangout, Redlight Red Light hosts this beer pairing event featuring Left Hand Brewing craft beers paired with delightful bites from La Femme Du Fromage, as well as a touch of sweets with baked goods from local bakery Blue Bird Bake Shop and chocolate truffles from The Bee’s Knees. Seating is limited to 20 so make your reservation today. Check out the list of pairings on their Facebook page. You love chocolate and you love wine and now Lisa Wilk, Wine Expert Extraordinaire and founder of Orlando Uncorked and Jill Ramsier, co-owner of Quantum Leap Winery, will teach you all you need to know about putting the two together. This is one deliciously decadent way of going back to school. Quantum Leap is the first and only winery in Orlando and their story is quite remarkable. They are reinventing the wine-to-market delivery process by searching for good quality sustainably grown wine from around the world and then transporting it in large vessels to their Orlando facility where the wine is finished, blended and packaged in low carbon footprint vessels which greatly reduce the impact to the environment. You can feel good about drinking these wines and you must taste them to believe it. During this event they will be pairing six wines with the delicious chocolates made locally at Peterbrooke Chocolatier of Winter Park. This will be one fun and delicious evening you can enjoy with all your chocoholic friends. If you can’t make the class in February, another will be hosted on 3/12/14. The guys from local favorite craft beer house, Redlight Red Light are hosting once again, their pre-Valentine’s happy hour event for all the ladies, hence the name “Galentine’s”. Put on a fancy dress, drink beer and bubbles, eat sweets and shop. Yes, this meets all girly stereotypes. Offering $2 off all glasses of bubbles and wines, $1 off Framboise on tap and complimentary sweets from The Bee’s Knees while supplies last, plus several local vendors for your shopping pleasure like Sea of Bees Jewelry, Dear Prudence Shop, Other People’s Property, Here and Now Goods and Fresh Flowers from Locally Grown, plus a few other surprises. Popcorn Flicks in The Park is a cinema series presented by the City of Winter Park and Enzian Theater, usually held the second Thursday of each month. In honor of Valentines Day, this month the movie featured will be William Shakespeare’s Romeo & Juliet. Catch this classic romantic tale with Leo DiCaprio before he was the baddie in Wolf of Wall Street and Claire Danes before she was the tough chick in Homeland. This is a beautiful setting in picturesque Winter Park and, did I mention admission is free and you get free popcorn?! That is a deal you can’t pass up! Donations are recommended so that they can continue to bring these great events to you. Bring your blanket, chairs, and a fully stocked picnic basket. Enjoy a picnic under the stars and performances by Ricky & the Buzzcats, Selwyn Birchwood and Thom Chambers Group in this beautiful garden setting. This event is quite popular and sells out so it’s best to buy in advance. Although this event is a bit more on the romantic side for those lovers out there, it doesn’t mean you can enjoy it with a group of your best friends to celebrate Valentines Day. Hosted by the City of Casselberry and The Orlando International Fringe Festival, this event will feature the original traveling food truck event, Food Truck Bazaar, with 15 of the most popular gourmet food trucks, as well as a musical performance by Central Florida’s own Janice Klein, dubbed as having “a voice like Barbra and a wit like Bette”, and a variety of local artists selling jewelry, paintings, ceramics and photography. Enjoy the beautiful lake front setting, and bring your blankets, tables, and chairs (you can practically move in!) The Casselberry Art & Music in the Park and Food Truck Bazaar is held the second Friday of each month. This one is for the late night partiers out there. On this boozy crawl, you will visit five downtown Orlando venues and get a drink at each one. Starting at 9pm in Ghost Bar, then moving each hour following to Native, Kasa, Avenue and finishing up the night at Vain Nightclub. $2 domestic drafts and $3 Bacardi Cocktails will be available and Valentine’s gifts will be given at three of the venues. Here’s a bonus, if you are celebrating a birthday you get a free ticket. Visit event website for details and to purchase tickets. If you prefer to be fully clothed for your runs, then this is a beautiful run to participate in as you meander through a neighborhood adjacent to Winter Park Memorial Hospital on this flat course. Race proceeds benefit the Track Shack Foundation. This is a dream race for any chocoholic out there. 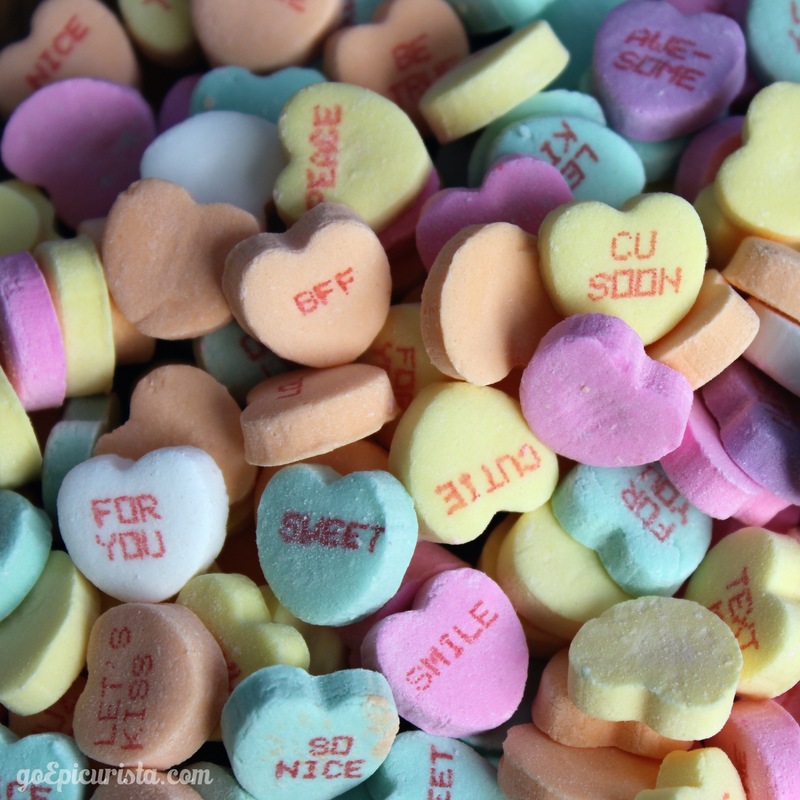 Get all your sweet-loving friends together for this three-mile course where everyone is welcome. Chocolates from Ghirardelli and the Original Choc-ola will be offered throughout the race as well as the finish line. At the end, keep the party going with music and more chocolate goodness. Put the hilarity in charity with hundreds of half-naked runners in their skivvies for this one mile run through the streets of Orlando, benefitting The Children’s Tumor Foundation. Back for its second year, this race is held all around the globe in various degrees of cold weather. I think we have the advantage in Orlando! The party starts at 12pm, the Run is at 2pm and the party continues until 4pm. Now this is a sure-fire way to have a good time with your friends and feel good about it. Put a team together and fundraise to help them reach their goal of $3 million (last year they raised $1.3 million!). Your fundraising will get you free Cupid’s undies, VIP open bar, and other gear which is pretty cool. This is the perfect event for that friend that loves to take his pants off, now he can do it for a good cause. Participants must be 21 or older. Entry fee includes a T-shirt and goodie bag. How about an elegant brunch, a live band, and a classic romantic movie to celebrate Valentines Day? Enzian Theater, the best theater to enjoy both food and film in Central Florida, is hosting their “Keep the Romance Going” Saturday Brunch with a buffet brunch complete with carving station and unlimited mimosas, The Cook Trio performing live and then a showing of the classic movie GHOST with Demi Moore, Patrick Swayze and Whoopi Goldberg. Limited VIP tables are available so purchase your tickets early. You want a true farm to table experience? You want to delight in award-winning culinary creations? You got it! Hosted by James Beard nominated chef, Hari Pulapaka of the Zagat top rated Cress Restaurant, this is an event to satisfy every food lover’s dreams. The menu features dishes made with fresh produce harvested from or near the farm. It couldn’t be any fresher if you picked them yourself. Limited to only 50 guests, as of this writing less than 10 seats are left, so hurry and purchase your ticket. There are several great spas in town that offer beautiful facilities and spa services that you and your friends are sure to enjoy such as Ritz Grand Lakes, The Spa at Rosen Centre, Mandara Spa at Swan & Dolphin and Portofino Resort. The reason why I selected this one at the luxurious AAA Four-Diamond Shingle Creek Resort is simple: CHOCOLATE. Here you will be pampered, buffed and polished to your heart’s content and for the entire month of February their spa services are infused with chocolate. What a delicious combination! If you’re a chocoholic and you’ve ever wanted to bathe in chocolate, as I have, this is the closest you’re going to get. Relaxation never tasted so good as you delight in a variety of Chocolate Lover’s services including facial, massage, manicure, pedicure and body treatments infused with chocolate and raspberry oils, chocolate cake scented sugar scrubs, and a strawberry soak. You can combine several services for a full day of pampering. As a bonus with every treatment, you will receive gourmet chocolates from local award-winning chocolatier David Ramirez, who is also the resort’s Pastry Chef. After the chocolate treatments, you must have chocolates you can eat too! The resort also features a beautiful pool complex where you can enjoy a bottle of bubbly, lunch and snacks for a full day of relaxation and celebration with your friends. Get out there and Celebrate Valentines with your friends.